How can we make a spiral arch on cake decoration? I am not sure if I understood your question correctly. 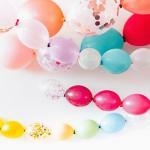 I guess you mean how to make a spiral balloon arch as a cake table decoration, right? 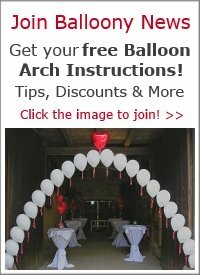 We don't have a step-by-step guide for making a spiral air filled balloon arch yet, but you could check out our general page about spiral balloon arches. 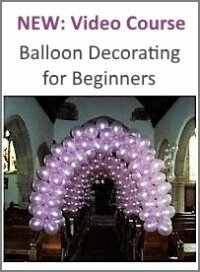 You'll find some tips there about how to achieve the nice spiral pattern and a video that shows how to make a helium filled arch with balloon clusters. 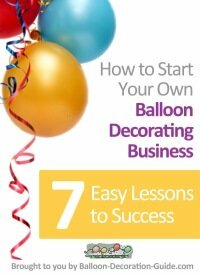 We also have several pages about wedding balloon decorations, where you might find some inspirations for decorating the cake table.